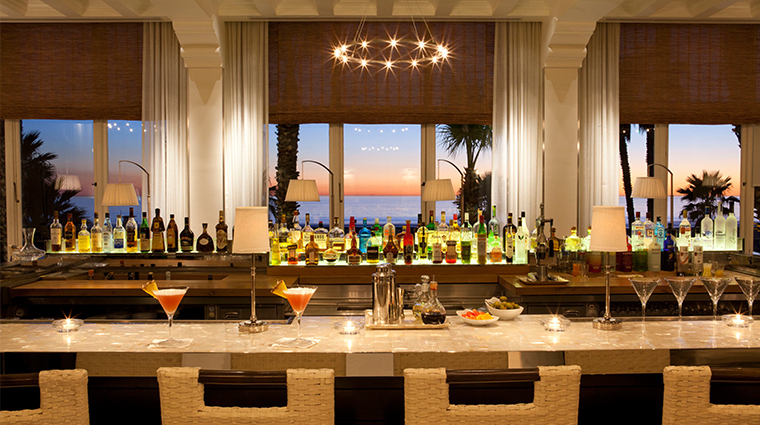 Catch is located inside Forbes Travel Guide Four-Star Casa del Mar hotel in one of Southern California’s most popular beach towns, Santa Monica. 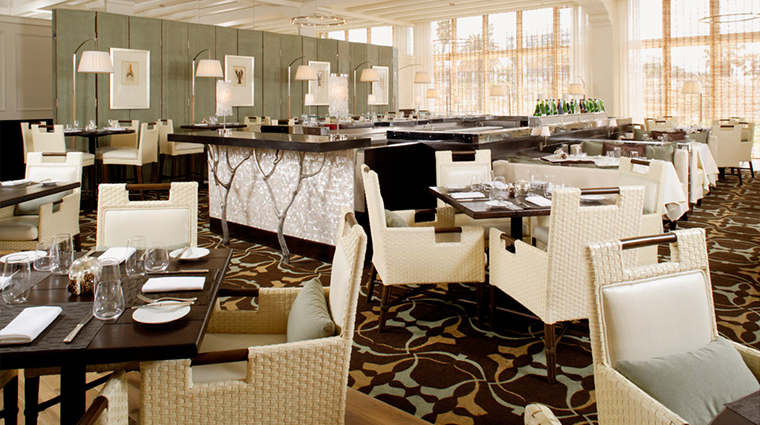 Catch offers market fresh cuisine with picturesque views of the Pacific Coast in a comfortably elegant environment. At the center of the restaurant is a large rectangular bar, inlaid with mother-of-pearl tiles, where wines-by-the-glass and small plates are served. 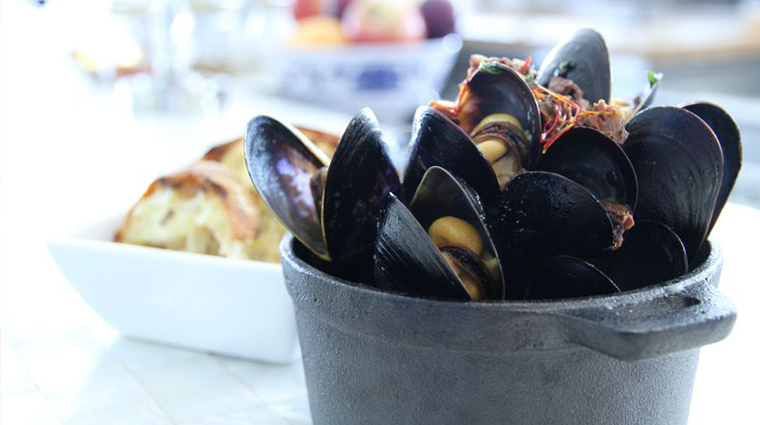 The menu offers a wide variety of seafood dishes, a daily raw bar, steaks and more, making this a see-and-be seen spot for California cuisine. Catch has one of the best locations in Santa Monica — it’s situated inside the historic and elegant Casa del Mar on the beach. Dining here gives you one of the best views in Santa Monica where you can gaze out into the Pacific Ocean while enjoying your fresh seafood and cocktails. The restaurant’s best draw is that after you finish dinner, you can slip off your shoes and take a stroll down the beach to enjoy a Pacific Coast sunset. The scene at Catch is very relaxed and comfortable, yet classy and chic. Live music every Sunday afternoon attracts a diverse mix of people — from singles, couples and friends catching up over cocktails. With its signature open kitchen, open-air dining room and breathtaking views of downtown Los Angeles and the Hollywood Hills, Catch never feels crowded, even the busiest Saturday night. This California restaurant is sensitive to its West Coast clientele, offering a dedicated vegan menu alongside its signature seafood dishes. Catch is, after all, a beachside restaurant, so there’s no strict dress code. 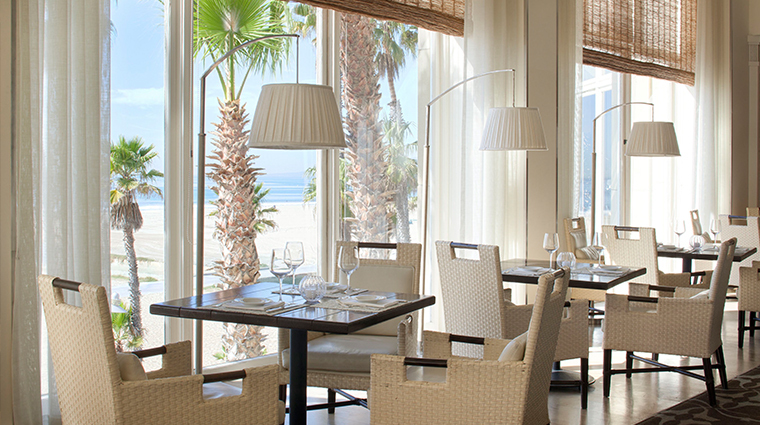 However, guests are asked to refrain from entering the Santa Monica restaurant in bathing suits and beach cover-ups. 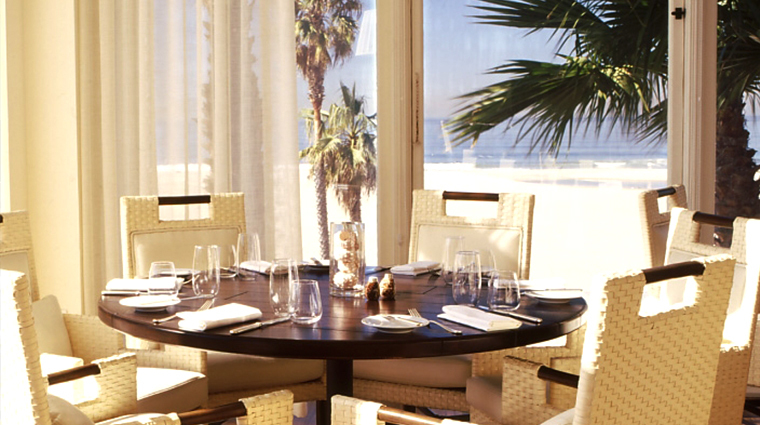 While reservations aren’t required, the setting overlooking the Pacific makes the Santa Monica restaurant a big draw so reservations are recommended. You would be remiss to skip Catch’s signature seafood tower, piled high with fresh lobster, king crab, shrimp, oysters, clams, mussels and ceviche. Dishes at this L.A. eatery lean towards an Asian influence with a dash of Mediterranean—think Mahi Mahi wonton tacos, sushi, scallop gnocchi and grilled Spanish octopus. 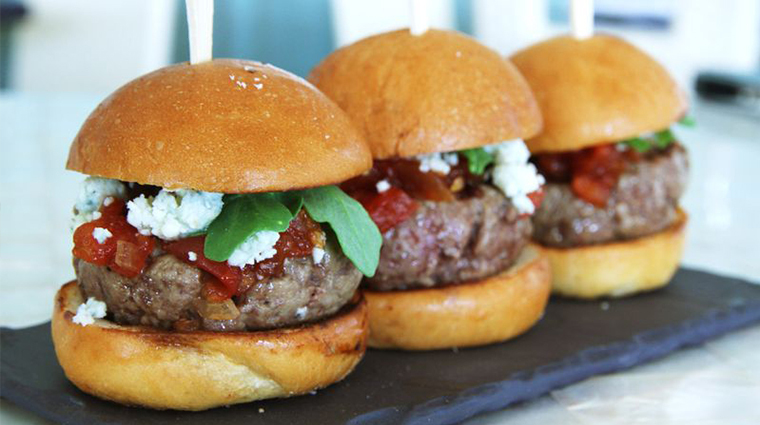 Signature vegan items are tasty enough to tempt even the hungriest carnivore. The sweet potato gnocchi is especially filling. 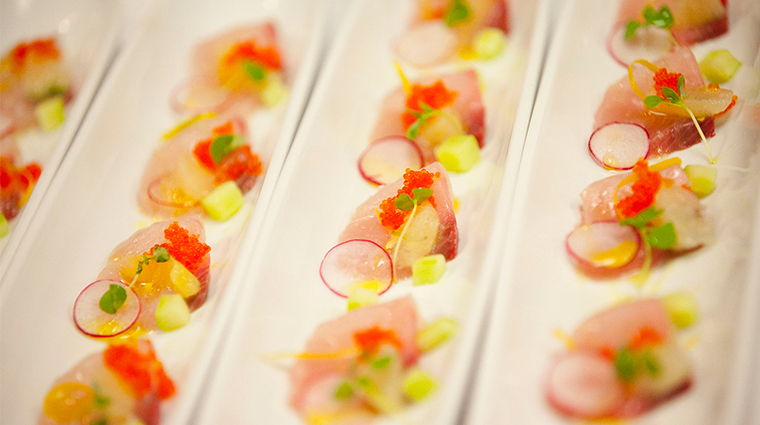 While seafood is signature at Catch, meat eaters will be well satisfied too. A 32-ounce dry-aged bone-in ribeye and whole roasted New Zealand rack of lamb can be found among the entrees. 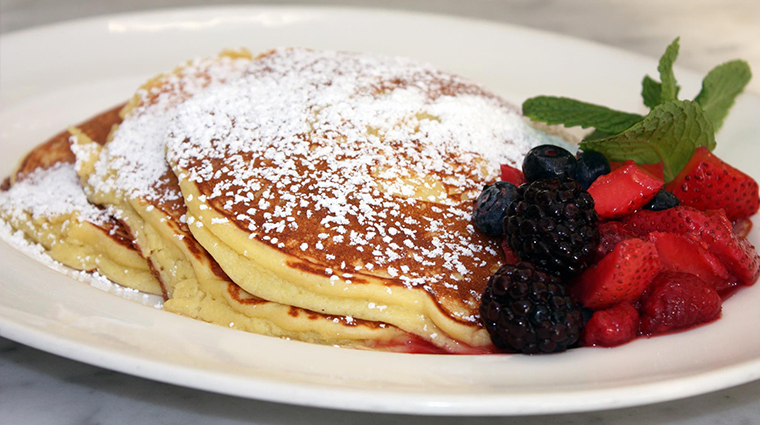 Weekend brunch is a popular affair here too, where you can enjoy healthful options—avocado toast and a coconut kale chicken salad— or more indulgent dishes like cinnamon roll pancakes and lobster mac and cheese. A comprehensive cocktail menu offers a wide variety of tipples to tickle any taste buds. The Hibiscus Spritz is a particularly refreshing combination of sparkling wine, Aperol, hibiscus and prickly pear. A play on Los Angeles’ obsession with health, the Detox Retox cocktail is a delicious blend of tequila, matcha, fresh cucumber, mint and lime. If you prefer your spirits straight up, you’re in luck. A wide variety of tequilas and mezcals are available as are single malt and blended Scotches. Non-alcoholic sips include a couple of cold-pressed juices, so even the most health-conscious can have a good time.